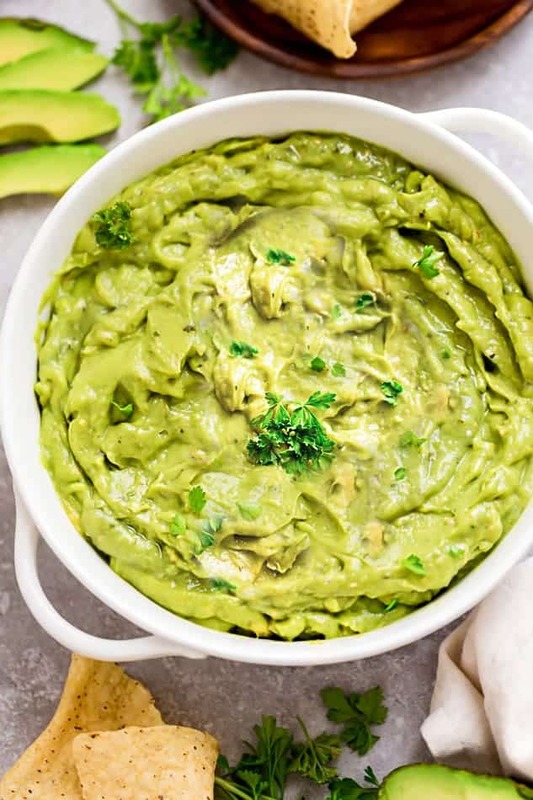 Low Carb Guacamole – this homemade recipe is the perfect party dip and keto, paleo and Whole 30 snack. Pairs perfect with fajitas, salads or by the spoonful. 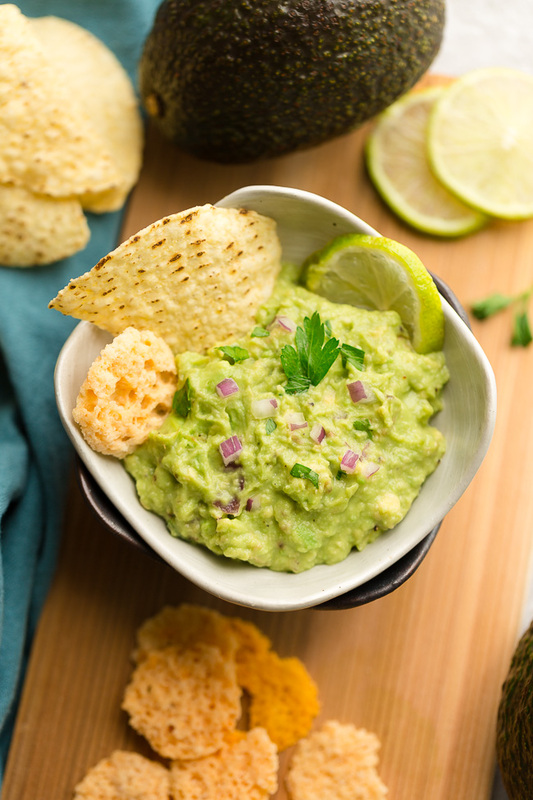 Raise your hand if you’re an guacamole fan? 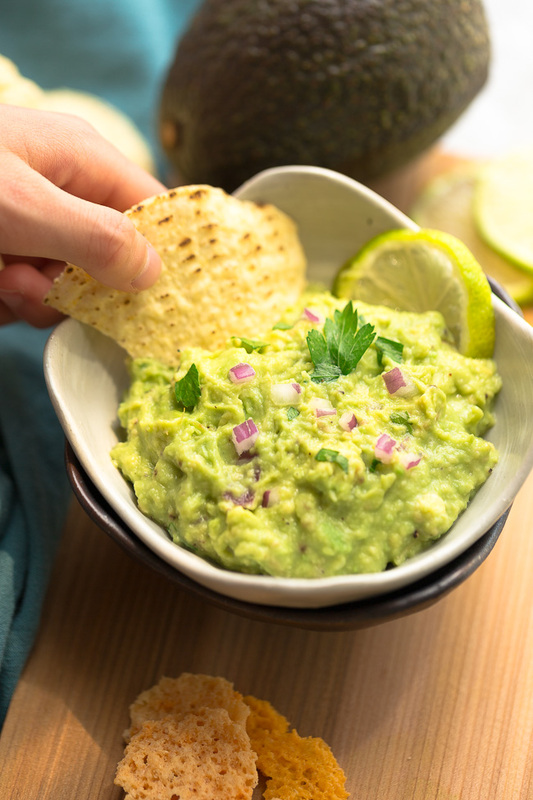 Guacamole is one of those simple recipes that tastes a million times better when it’s homemade. It’s one of the simplest recipes and it fits perfectly with a vegan, gluten-free, paleo, keto, Whole30 diet. 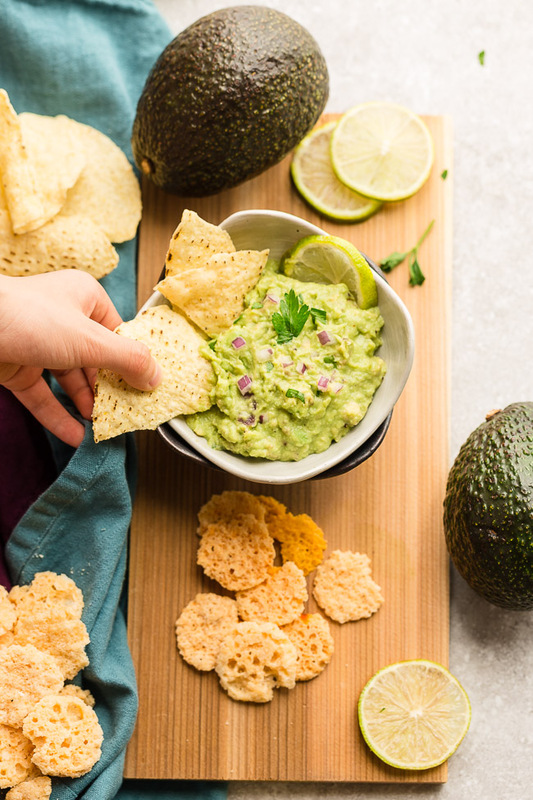 This Low Carb Guacamole recipe is not only healthy and delicious…it comes together super quick with just 6 ingredients. You can easily customize it with the ingredients you have and there are a ton of things you can serve it with too. For low carb – serve with some cheese crackers/chips, cucumber, zucchini, celery or just by the spoonful. It also goes perfectly along with low carb tortilla chips, low carb taco bowls, fajitas and salads. Check the avocado skin: The darker the skin, the riper the avocado. You’re going to want an avocado that is deeper in color but not all the way dark brown or black. That would be a sign the avocado has turned. Look at the stem of the avocado: If the stem comes off easily and the color is green underneath, your avocado is just right. If it’s brown underneath, the avocado is too ripe.. 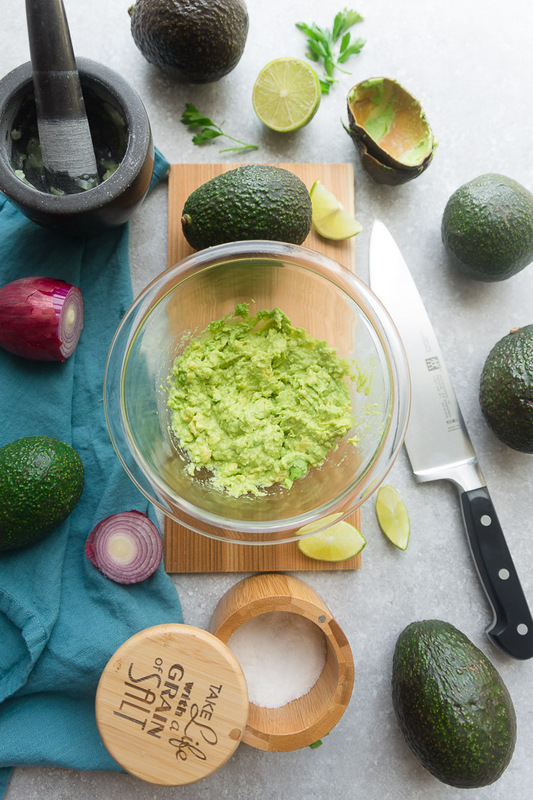 Check the firmness of avocado: Hold the avocado in your hand and apply light pressure, it should give a little under your fingertips. If it’s too hard then it’s under -ripe. If it is squishy, the avocado is overripe. 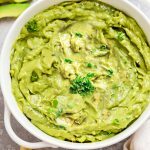 Low Carb Guacamole - this homemade recipe is the perfect party dip and keto, paleo and Whole 30 snack.